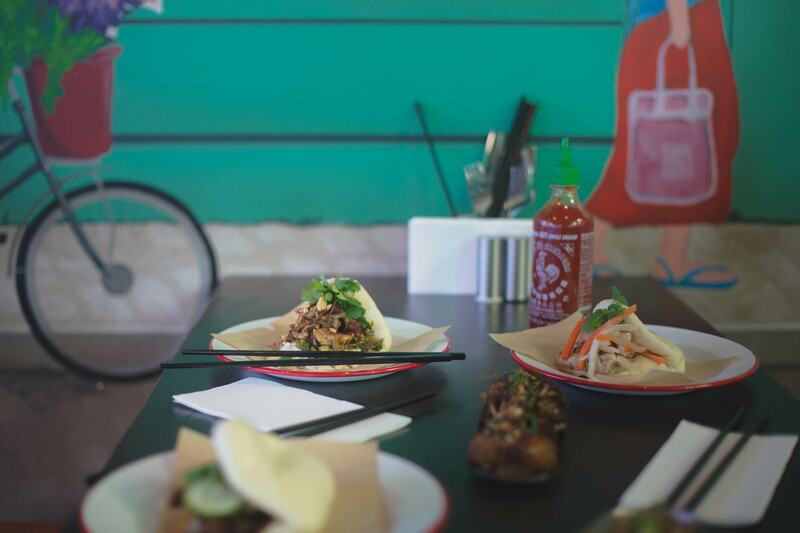 Gua-Bao buns and a variety of shared plates. We accept bookings for parties of 4 or more for 30 of our 90 seats daily, leaving the rest for walk-in. Groups 1-4, please walk in. Groups 4-14, please walk in or book online. Groups 14+, please email us to book. Super impressed by the service! Food was superb - would recommend to anyone and everyone! Fantastic selection of interesting and tasty food which arrived promptly. Super helpful staff who managed a very full restaurant extremely  well! 10/10 would Mr Go again!! A good dinner. We had some very noisy people next to us which deterred from the atmosphere for our table. Mr Gos never fails to provide great food and service! One of my favourite places to eat in Wellington! The food is very very yummy and arrives very quickly. The waiting staff are lovely - attentive, funny and helpful. The only thing wrong with Mr Go's is that it's very popular and so can get a bit loud...but hey.. so worth it. The food and the atmosphere are amazing. We had an amazing time and what a pleasure for the palate! Amazing food. My absolute favourite place in Wellington. Love the terra sancta rose and the prayers for the soulless cocktail. I do however prefer the first version of the cauliflower. Thank you guys so much! Was our first night out in such a long time (we have a 1 and a half year old) and we weren't disapointed. We had actually intended to go to Husk but they were closed for a Private Function and it was them who recommended we head to Mr Go's......we'll definitely be back and won't be waiting so long next time. Thanks heaps for making our "date" night an awesome one. Had a wonderful evening thank you. The perfect place to bring my American visitors! They are loving Wellington and loved our dinner at your restaurant. 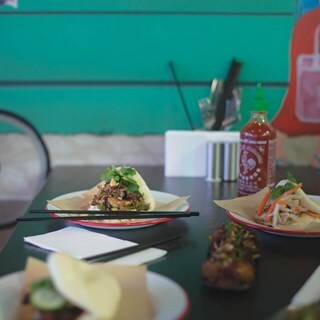 Love Mr Go's, one of Wellington's best eateries. Did feel we were kind of up sold food as the waitress suggested we have two things each as that was what people generally did n shared but for us it was definitely too much food n of course more expensive. Will know for next time but having said that could not fault the food, it was very delicious. Thanks. Wonderful staff. Most beautiful flavoursome food! Great food, good value, and fabulous service as per usual. Food great, service ok. Toilets we're disgusting. Consistently delicious and addictive - need my regular Mr Go fix! Took too long to take our order (was a busy night), but once sorted... fantastic food! We had a super time, great service team and all this food recommendations we spot on. The menu was explained well for us first-timers. Each dish staggered out timely, even as we added more food throughout the evening. Very cool place, will be back again!